It’s amazing how people who are into cars can get so passionate about certain discussions on car comparison or which brands are better. For instance, one discussion that is common and gets attention is the difference between front wheel or back wheel drive and which one offers better driving experience. While this relies mostly on personal taste, there is a general opinion among the wider audience that front wheel drive cars are more cost-efficient. But if we consider different aspects of this comparison, we will identify that both wheel drive systems have their own advantages and disadvantages, in different set of circumstances of course. That’s why when you’re buying a car it is recommended that you learn more about cars that can help you determine all costs and not just the initial price of the vehicle. Hence, by doing a pre purchase auto inspection in Melbourne you can easily obtain all necessary information about a car. Front-wheel drive cars are more popular for many reasons. The fact that drive wheels are right under the engine, provides better traction. Also, because of this type of construction, wheels can be self-aligned to drive straight when you let go of the steering wheel. This can act as a safety measure in winter conditions, with a smaller possibility for the car to fishtail. Some experts claim that front-wheel cars are easier to assemble because the whole construction of engine is placed solely in front area. We cannot tell just the good stuff and keep quiet about disadvantages. One major disadvantage of these models is that the front is too crowded which doesn’t allow much space for suspension design. Another disadvantage is that when you accelerate, bigger part of the weight slips to the rear part and cuts traction. Because front wheels are driven in some cases, the cars turning radius is shorter and cannot perform at its best. 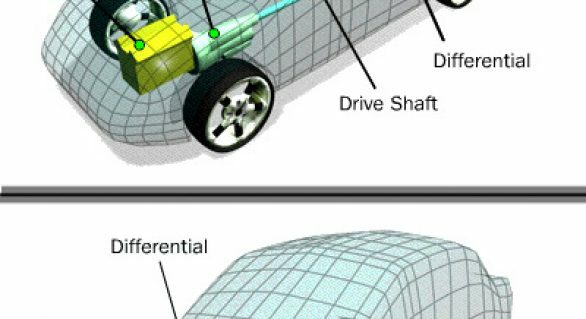 Back wheel drive systems are less implemented in today’s car models but they do have advantages of their own. 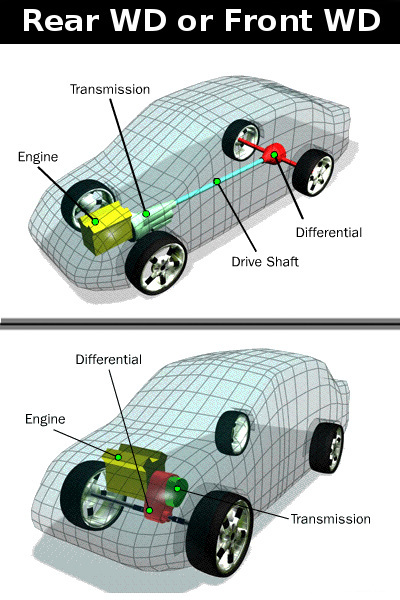 Cars with back wheel drive gain traction during acceleration and this makes the car more stable. Also taking turns is easier with these models. Rear wheel drive models offer much more space under the hood, so you can reach different parts easier when you are doing car inspections. Melbourne mechanics who deal with these models claim that they find it way easier to work with back WD cars. These type of drive wheel model has its disadvantages reflected through the advantages of FW drive models. But overall front-wheel drive cars are more practical and fuel efficient which is why rear wheel drive is used mostly in race cars.